Halle Berry Says Her High School Was Racist - Schoolmates Put Her On Full Blast! When you make a claim about racism like Halle Berry does, you’d better make sure it’s true. There are TONS of people on Facebook saying that it’s a big load of B.S. Maybe it’s because celebrities are the uppity privileged class, they need to make sure everyone knows how much they suffered BEFORE fame. It’s fashionable these days to scream about sexism and racism — especially if you’re a celebrity. Look at Ashley Judd freaking out at the airport because someone from TSA called her ‘Sweetheart’. Halle Berry is claiming that she suffered from racism as a student because of her mixed-race heritage. Berry’s father is black and her mother is white. She discussed in an interview how difficult it was to be bullied and ostracized for being biracial — but has ‘hope’ for her daughter’s generation. She had it so tough. She was taken out of the rough ‘inner city’ to the suburbs of Bedford in northern Ohio, that was ‘all white’. There is a private group on Facebook called, ‘You know you grew up in Bedford‘ that posted a link to the People article featuring Berry’s interview. Many are calling it B.S. 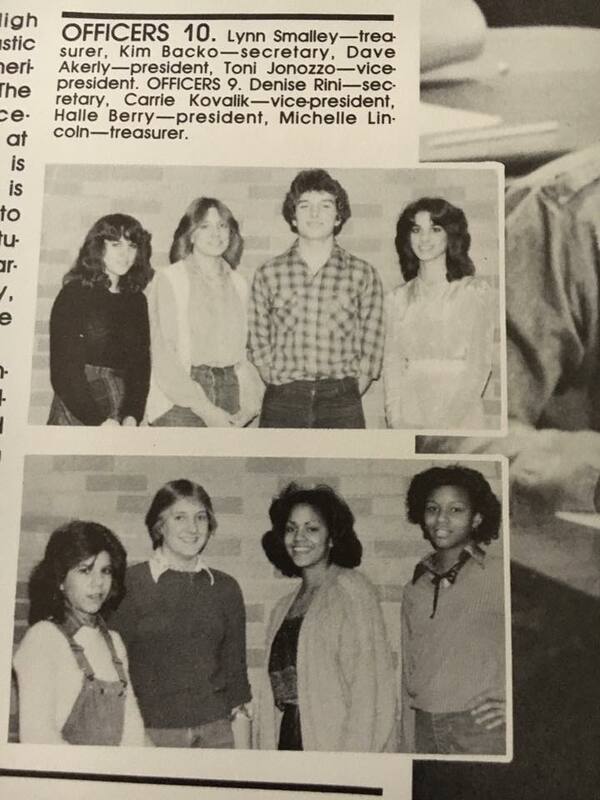 Here’s her photo from the 1984 yearbook that confirms that she was Prom Queen courtesy Classmates.com. I wonder if she was as excited as when she won that Oscar for ‘Monster’s Ball’? Cindy H.: ‘I’ve always have been proud to say I went to school with Halle. Even though she was younger than me, I always thought she was beautiful. I remember watching her at the local beauty pageants she was in. (Bedford Heights Home Days) If she was bullied, I never witnessed that. Sad to hear she felt that way, I certainly would have been an advocate for her. I grew up in Metro Estates, which certainly changed over the years, yet my family is still there. Biracial families may have dealt with some issues, I did babysit for a wonderful family on my street; I didn’t see it. Biracial families deal with issues still today. Halle was one of the most popular girls in school. One man claims to have been friends with Halle’s sister and gives the straight goods. You mean have celebrities actually put their money where their mouth is? Some were even posting photos as proof. 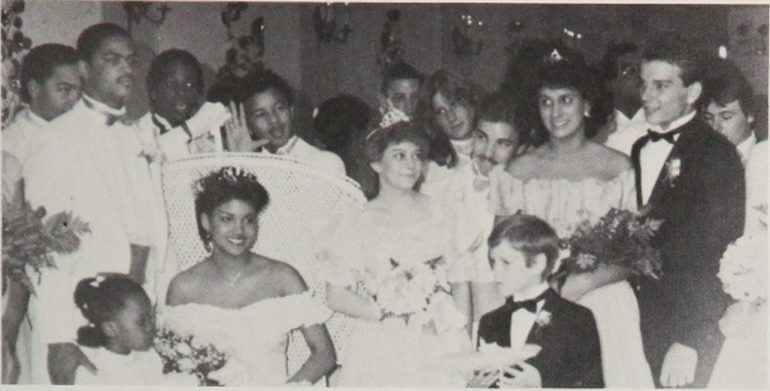 Halle Berry was a cheerleader, Prom Queen, Class President, Editor of the school paper and even won a Miss Teenage All-American pageant. 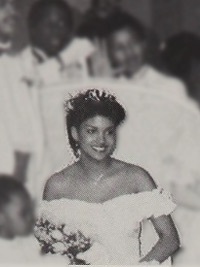 And here’s a photo from the ‘all white’ high school prom where Halle was Prom Queen. Now, we’re not saying that there weren’t individual incidents of racism that Halle faced. That’s quite possible. There are horrible people out there. But here’s the thing — she flourished in high school. And she had many people cheering her on. What’s more, she rose above it and is an incredible success. To people that suffered real bullying, her ‘they called me Oreo!’ is whiny and ridiculous. And this last one to bring perspective. Maybe Halle really should try something else — like honesty. As Our Politicians Spend Our Grandkids into Ruin, Are There Any Moral Leaders Out There?